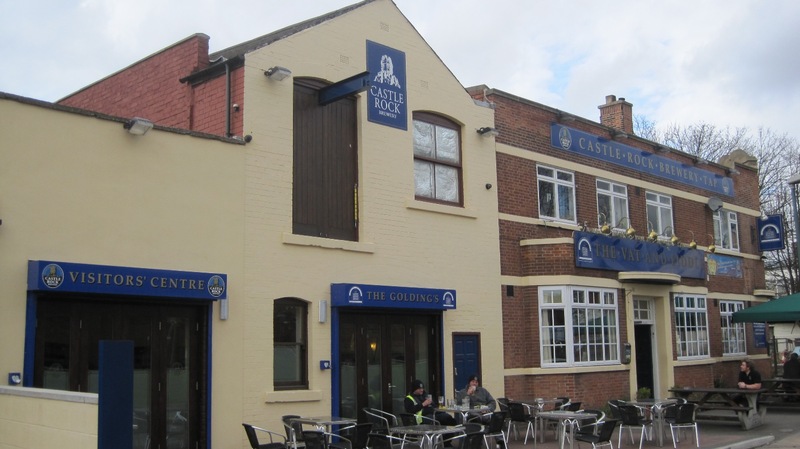 PubhD Nottingham events take place at Castle Rock’s lovely Vat and Fiddle pub. Their guest beers change regularly, but they aim to serve Castle Rock’s excellent core range at all times. PubhD events are in the Golding’s Room, which is between the bar and the visitors’ centre and can be seen in the image above. The pub is a one minute walk from the train station. Our average attendance is about 35, but we can host an audience of about 50 (all seated) in the Golding’s Room. Note that the room does get quite crowded if we have 50 people attend, and so busy events may not be suitable for children or pets!